One of the rarest and most highly sought after Rolex watches is the Rolex Space Dweller. The Rolex Space Dweller was originally inspired by a 1963 visit to Japan by astronauts of Project Mercury. Project Mercury was the United States’ first man-in-space program. The Mercury astronauts were a huge hit with the crowds in Japan. Rolex chose to capitalize on their popularity by introducing a special edition of the Explorer for the Japanese market, naming it the Space Dweller. The Space Dweller was released shortly after the astronauts’ visit, though it was produced on a trial basis and was only available to the Japanese market, though no one seems to know why Japan was specifically chosen. The Rolex Space Dweller is so rare that few people have ever seen one in person. Its rarity is due to several factors, including its extremely limited production period as a test-product. Despite the astronauts’ popularity, the Space Dweller’s limited release in Japan did not spark the demand Rolex had hoped for, thus the watch was not put into full production. While being called an “Explorer,” the Rolex Space Dweller fails to bear an inscription of the Explorer name. Rather, it bears the test “Space Dweller” name. 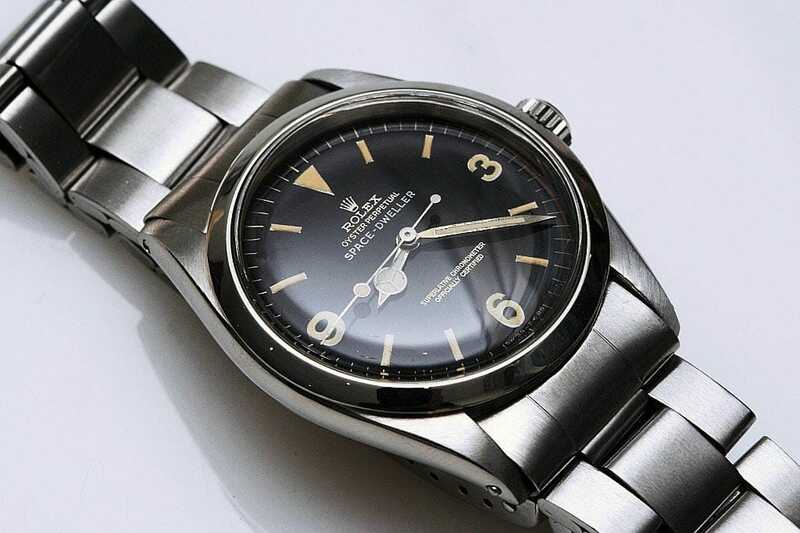 Despite not bearing the Explorer name, the Space Dweller is essentially identical to the popular 1016 Rolex Explorer. 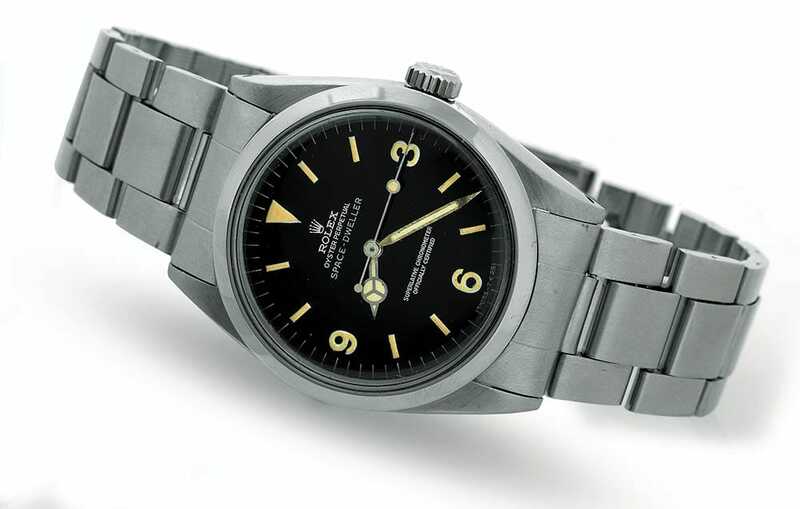 Rolex Oyster watches had been famously used by the first team to reach the summit of Mt. Everest in 1953, then re-branded as the Explorer in their honor. 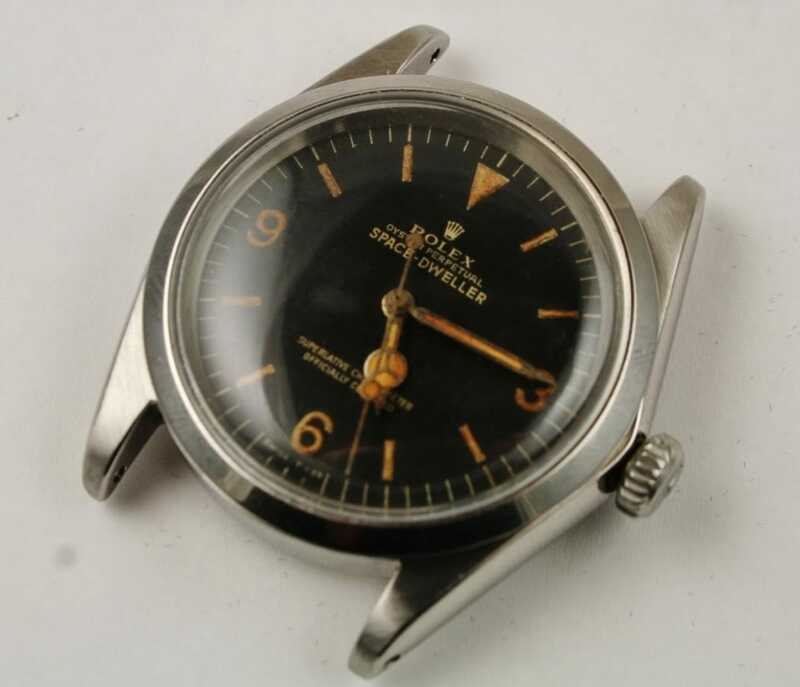 Thus, the Explorer was an obvious choice for representing the astronauts of Project Mercury, who were considered the world’s greatest explorers at the time. If the watch had been a commercial success, Rolex would have officially re-branded the test Explorer as the “Space Dweller” for the market. The rarity of the Space Dweller has caused its price value to sky rocket. As stated, most collectors have never even seen a Space Dweller in person. When one does appear at auction, it can expect to sell for $30,000-$40,000 USD. Though not one of the most expensive Rolex watches demanded by collectors, the Space Dweller is certainly one of the rarest. This is, however, much higher price compared to the non- “Space Dweller” stamped 1016 Explorers, which is essentially the same watch. One is not paying for an Explorer, however. Rather, one is paying for a rare piece of Rolex history, meant to encapsulate the spirit of the original space explorers.